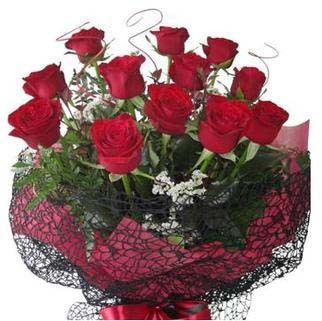 Red Roses | Dozen Roses | Best Blooms Roses Auckland N.Z. Roses - Roses - Roses! Roses are truly the most romantic of all flowers, and we always have in stock stunning N.Z. grown red roses and coloured roses for delivery Auckland wide, from our award-winning florists. Roses Auckland wide FREE DELIVERY! From 1 Dozen Red Roses, or a popular long red rose trio, a bouquet of roses, Half Dozen Roses in a stunning kete wrap, to the eternal favourite single red rose in a gift box. A single rose is an elegant and classic gift and very popular! We can also make a romantic bouquet of flowers that can include one red rose in the centre. We always have other colours too so If you are looking for pink roses, yellow roses, purple roses, orange roses, white roses or any other colour then please call on 09 838 9058 to speak with our florists to check the availability, and place your order for delivery. Roses and Chocolates - Gifts. Lovely gifts to add to your Rose Bouquets - We have delicious New Zealand made chocolates, fudge, candies and sweets, teddy bears, balloons, candles and fragrant soaps, body creams and massage wax and can easily add these to make a romantic gift package to be delivered for your special occasion. N.Z. grown Roses for Valentine's Day 14th February. Saturday delivery order by 9.30am for same day.